So I wore this look a few days ago & really loved it. 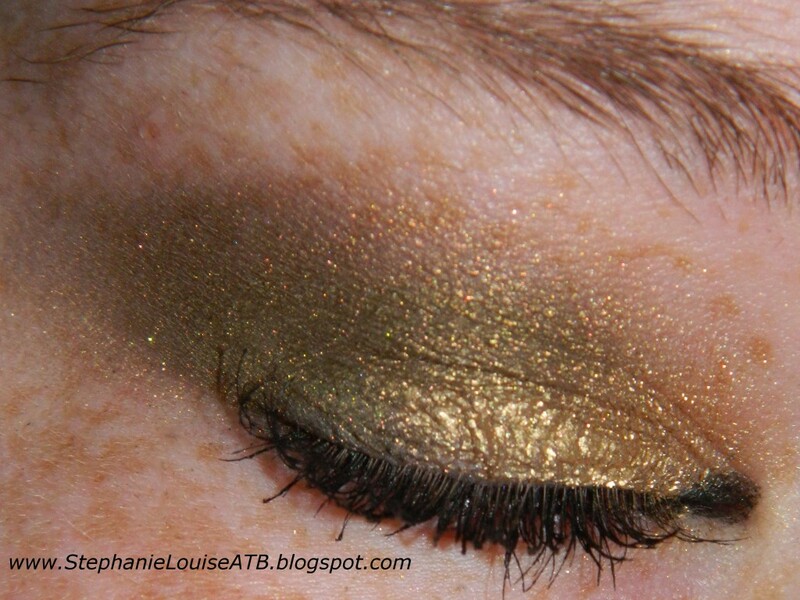 I knew I wanted to use Maybelline’s 24 Hour Color Tattoo as my base because it had been…one of THOSE days! Humid, blah, meh. So Bold Gold it was & my goodness is it a stunning gold or what? Normally I use these as a base & cover them up, but not this time! 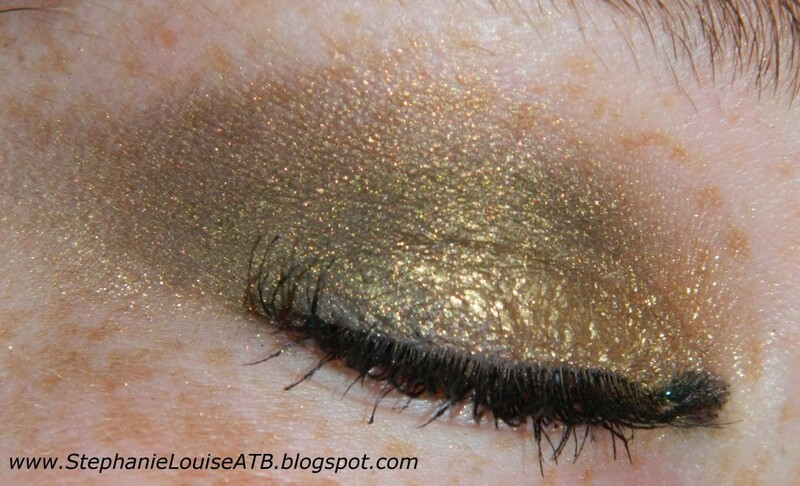 I was feeling the gold so I pulled out a crease shade. 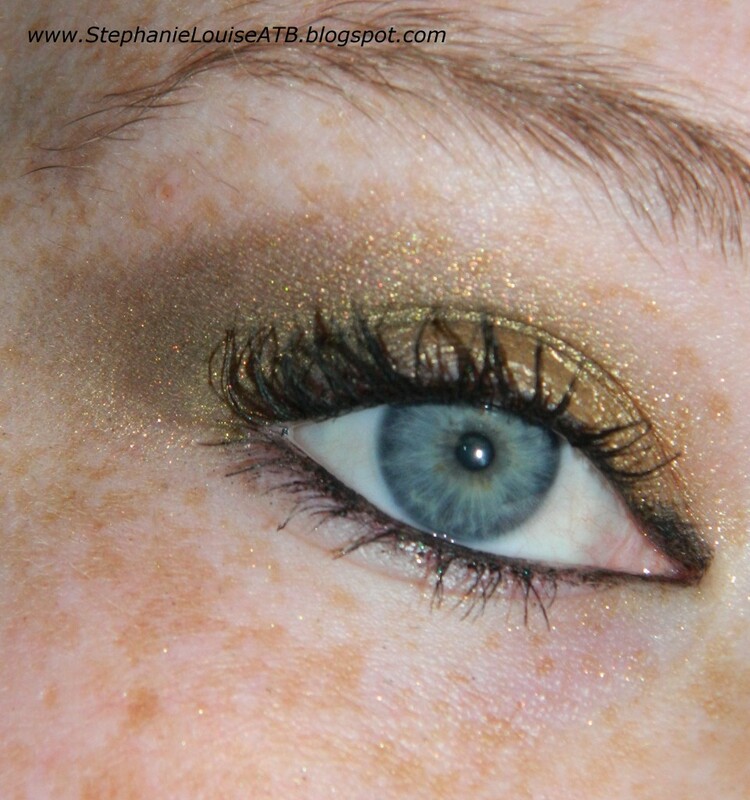 I love gold & green so it was natural I would reach for The Body Needs eyeshadow in Aspen Gold for my crease shade. A light dust of my Become Beauty Bronzer/Highlight duo on the highlight side (this contest is still open guys, remember to enter!) & I was thrilled. I topped it with my Physician’s Formula for Green Eyes Shimmer Strips pencil in Black (Click here for the green version from this trio!) & topped it with my Maybelline Great Lash Lots of Lashes Mascara. Voila! 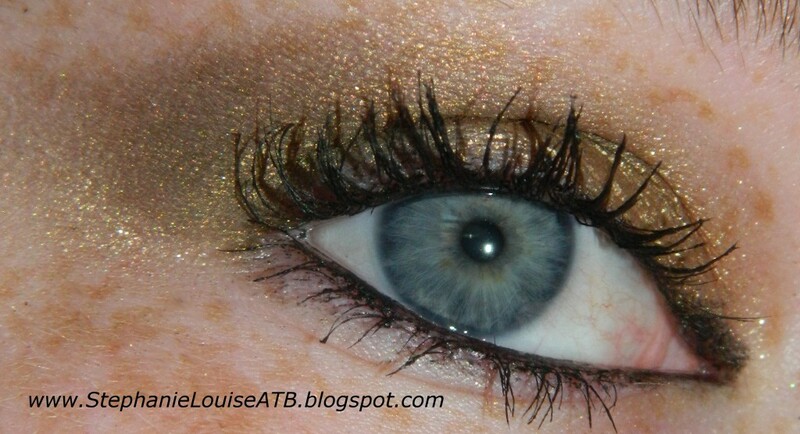 Easy, simple, & it wore incredibly well! Keep in mind I’m not wearing any face makeup or other primers. What do you pair Bold Gold with? Do you love these Color Tattoos as much as me?